Her brother is the blogger Raif Badawi, who was sentenced to 10 years in prison and 1,000 lashes after creating a digital forum for political debate and “insulting Islam.” Her husband is the lawyer Walid Abulkhair, who defended her and her brother, and who was sentenced in 2014 to 15 years in prison. Samar risks her own freedom in the fight to save them both. “How do I want to be remembered? As someone who fought for the truth until she took her final breath,” says Samar during a conversation which takes place via phone, Skype and e-mail. She would like to see a Saudi Arabia where freedoms are respected. “I dream of an independent judiciary, a constitutional system and a parliament elected with the ballot box,” says Samar. 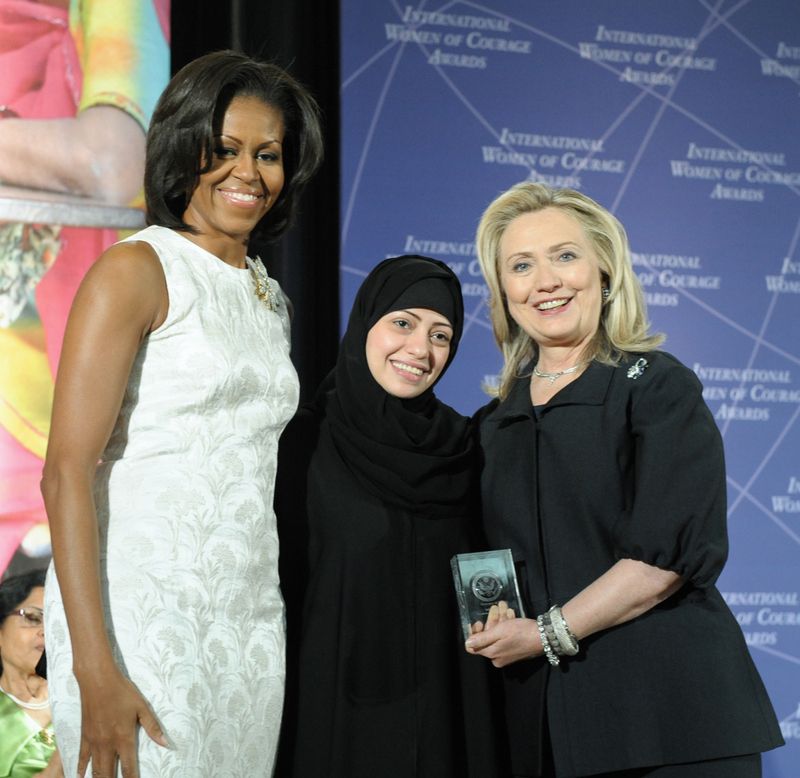 Samar does not like to talk about herself, yet her work as an activist has attracted the interest of the government of the United States, which awarded her with a prize presented to her by Michelle Obama and Hillary Clinton at an official ceremony two years ago. From the beginning, Samar’s life was never easy. Her mother died of cancer when she was 13 years old and she was left alone with an abusive father. After the failure of her first marriage five years ago, for reasons she wished to not detail, she and her son Bara’a, who at the time was about seven years old,went to live with her brother. Her father denounced both Samar and her brother soon after. She was accused of disobedience in accordance with the male guardianship system of the country. This system establishes that a woman cannot obtain a passport, marry, travel, access to higher education, or even undergo certain medical procedures without the express approval of her male guardian. This guardian (‘mahram’, in Arabic) can be the woman’s husband, father, brother, or even her son. Jeddah’s governor sent Samar and her son to a shelter where they lived for a year and a half, until the governor granted her permission to leave the shelter and live with her son on her own. It was then that she fell in love with Walid Abulkhair, whom she married, and with whom she has a daughter named Joud. “He was my lawyer and we fell in love” she explains. Samar’s father objected to this second marriage, but the young woman did not resign herself and she lodged a complaint against him in what was an unprecedented gesture in Saudi Arabia. She wanted to avoid remaining under his guardianship at all costs. She needed to live in freedom. During the trial, Samar’s father’s reputation and standing were questioned. A non-judicial investigation concluded that he was a drug user, who was irresponsible with money and had 14 wives. These facts, however, were not enough to avoid the judge from ruling in his favor. At this initial court hearing in April 2010, Samar was placed under arrest and taken to Jeddah’s Briman Prison. Three months after her arrest, the governor of Mecca, who had proposed establishing a committee to help father and daughter reconcile, admitted that her father had abused Samar. Consequently, he accepted Samar’s marriage to Walid. Saudi Arabia is governed following a unique interpretation of Islam. The Al-Saud royal family is supported by the Sunni Islam Wahhabi religious movement in what amounts to a complex tribal pact. The result is a tacit governing agreement by which any and all political actions require the approval of the religious elite. The late King Abdullah, who died this past January 23rd, was considered a reformist because he championed measures aimed at women, including promoting their access to higher education, study abroad scholarships, and the wider labor market. In 2013, he also appointed 30 women to the ‘Shura’, an advisory board with very limited powers which is composed of 150 members and has always been presided by members of the noted Al-Sheikh family of Saudi religious scholars. Despite these reform efforts, gender discrimination persists in Saudi Arabia, a fact which Samar sums up by declaring that “in Saudi Arabia we have no rights.” The male custody system relegates women to a position of a minority in almost all areas of their lives. And while women have a presence in the ‘Shura’, its ability to propose laws, but not approve or enforce them greatly reduces the possibility of their greater influence. 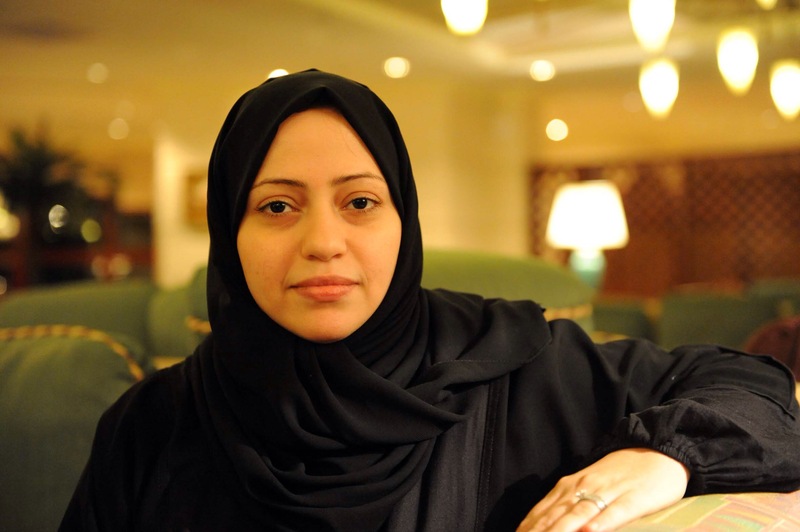 The year after her release from prison, Samar began her own campaign against the Saudi government aimed at improving women’s conditions within that society. Focusing on the goal of ensuring that all women be allowed to vote, Samar attempted to register as a voter on the eve of the September 2011 municipal elections, and she promptly filed suit against the authorities when they forbade her to do so. Following her example, dozens of women defied the authorities and created Facebook groups demanding their right to vote. Further international attention was drawn when the United States recognized Samar as the first woman to petition the courts for women’s suffrage in Saudi Arabia. A few months after she began her campaign, King Abdullah announced that women would be allowed to vote in the 2015 elections. In addition to campaigning for women’s suffrage, Samar joined Manal al Sharif in Women2Drive, a movement aimed at protesting the ban of female drivers in Saudi Arabia, which has drawn global praise. Samar’s second clash with the Saudi authorities took place in 2013 as a result of her brother Raif’s online activism. 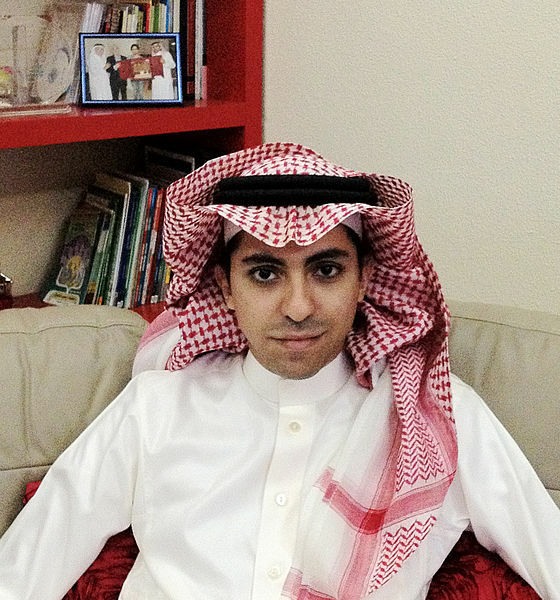 After creating a website called ‘Free Saudi Liberals’ aimed at promoting political debate and addressing complicated issues such as secularism, Raif was arrested for “insulting Islam” on the internet. On June 30th, 2013 Raif was sentenced to seven years in prison and 600 lashes. On appeal, the sentence was not only upheld, but also extended to 10 years in prison and 1,000 lashes. The judgment states that the activist should receive 50 lashes each week. As if this were not enough, his family now believes that the authorities are trying to gather evidence to charge Raif with apostasy in order to apply the death penalty. Since her brother’s arrest in 2012, both Samar and Walid have worked tirelessly on his behalf. An expert on Arabic and Islamic law, Samar’s husband authored a 2007 manifesto petitioning the Saudi King to replace the country’s absolutist government with a constitutional monarchy. In 2008, he launched the Monitor for Human Rights in Saudi Arabia (MHRSA) website, an online effort, which created after his request to establish the entity as an NGO was denied. The authorities shut down the site only a few months later, while it still exists as a Facebook page, the site is blocked within the country’s borders. Following this setback, in 2012, Walid registered MHRSA in Canada. Later, he led a 48-hour hunger strike to bring greater attention to Saudi Arabia’s political prisoners, amongst them his brother-in-law, Raif. Due to his continued efforts on behalf of human rights, Walid was awarded the prestigious Swedish Olof Palme Prize. After the Saudi government forbade him to leave the country, Samar travelled to Sweden to accept the award on his behalf in 2013. Additional global exposure came via Time Magazine’s coverage of the couple’s online chats in Saudi Arabia. In their living room each week, Walid and Samar began to celebrate with many people from different backgrounds, but all of whom had common political views. In November 2013, the attention led the Saudi authorities to charge Walid with disobedience. A few months later, Mecca’s court of appeals found him guilty of “undermining the image of the regime and its officials, inciting the public and insulting the judiciary.” He was sentenced to 15 years in prison and fined 50,000 euros. Walid is the first person to be tried under Saudi Arabia’s new anti-terrorism law, which came into force in February 2014 and criminalizes any form of political dissent. When the law was approved, Samar knew that it could be used to imprison her husband. “Human Rights activism in a country like Saudi Arabia is risky, and he always expected to be tried and imprisoned because of that. He was subject to threats and harassment continuously since he began fighting for Human Rights,” she says. According to Adam Coogle, a senior researcher at Human Rights Watch (HRW), some Saudis officials deny fundamental rights such as freedom of assembly, expression and association. “In the past few years we have seen a dozen of peaceful activists sentenced to long terms in prison simply for calling for reforms,” said Coogle by email. “Some, such as Walid Abulkhair, by criticisms of tweets or in television interviews”. The government rejects any suggestion that it suppressed fundamental human rights, and its foreign ministry recently complained about the global coverage of Raif Badawi’s case, alleging that the spotlight was a clear case of foreign interference that they would never accept. After the death of King Abdullah, Prince Mohammad bin Nayef, chief architect of the laws targeting human rights activists, is now second in the line of succession to the throne. I contacted the embassy to make a comment but my messages were unanswered. Sherif Mansour, an expert on the region and a coordinator for the Committee to Protect Journalists (CPJ) observes that the Saudi government has intensified law enforcement since the Arab Spring protests first took place. “The amendments to the 2011 press law increased the penalties relating to the publication of any material that is considered contrary to Islamic law, which affects the interests of the State, promotes foreign interests, damaging the public order or national security or defends criminal activity,” says Mansour. Mansour also points out that the General Broadcasting Commission announced in April that it will monitor YouTube channels to ensure that everything published fits the government guidelines. “Many Saudis are using this platform to discuss controversial issues or events the media do not usually cover,” he says. Prior to his imprisonment, YouTube was precisely the forum that Walid used to record videos of himself explaining his ideas and expressing doubt over the legitimacy of the court, which would later condemn him. In the videos (which were published on May 25 and August 4 of last year) Walid talks about how he feels, and how he has managed to maintain hope throughout his persecution. Saudi Arabia’s repressive streak is no exception in the region. Thousands of Egyptians have been killed in the repression carried out after its revolution, and the CPJ believes that it is one of the most dangerous countries in the world for journalists. In November 2014, the Egyptian Centre for Rights and Freedoms (EORF) said that 67 journalists were in prison, many of whom had been tried by military courts after the military coup that ousted Islamist Mohammed Mursi from power in 2013. In other countries, those who exercise their freedom of expression pay a high price. Such is the case in Algeria, where the activist, Rachid Aouine, was arrested for publishing an ironic comment on his Facebook account. The authorities accused him of inciting a riot, a crime for which he could face a year in prison. Meanwhile, Raif Badawi has ‘only’ received the first 50 of the 1,000 lashes to which he was condemned. The other 950 have been postponed week after week for health reasons. Samar, who is torn between visiting her husband in Riyadh and her brother in Jeddah, continues to await a royal pardon for all of Saudi Arabia’s political prisoners, and for the greater reforms that she hopes Abdullah’s successor, King Salman, might take. As for our conversations, Samar explains, “the government forbids us from communicating with the foreign media or with human rights organizations.” But she speaks to me because she wants to expose the disparate human rights situation in her country to rest of the world. Amanda Figueras is a journalist, multimedia reporter, United Nations Alliance of Civilizations fellow, and founder of a European News website.